An "absolute" encoder maintains position information when power is removed from the system. The position of the encoder is available immediately on applying power. The relationship between the encoder value and the physical position of the controlled machinery is set at assembly; the system does not need to return to a calibration point to maintain position accuracy. An "incremental" encoder accurately records changes in position, but does not power up with a fixed relation between encoder state and physical position. Devices controlled by incremental encoders may have to "go home" to a fixed reference point to initialize the position measurement. A multi-turn absolute rotary encoder includes additional code wheels and gears. A high-resolution wheel measures the fractional rotation, and lower-resolution geared code wheels record the number of whole revolutions of the shaft. An incremental rotary encoder provides cyclical outputs (only) when the encoder is rotated. They can be either mechanical, optical or magnetic. The mechanical type requires denouncing and is typically used as digital potentiometers on equipment including consumer devices. Most modern home and car stereos use mechanical rotary encoders for volume control. Due to the fact the mechanical switches require denouncing, the mechanical type are limited in the rotational speeds they can handle. The incremental rotary encoder is the most widely used of all rotary encoders due to its low cost and ability to provide signals that can be easily interpreted to provide motion related information such as velocity. The fact that incremental encoders use only two sensors does not compromise their resolution. One can find in the market incremental encoders with up to 10,000 counts per revolution, or more. There can be an optional third output: reference or "index", which happens once every turn. This is used when there is the need of an absolute reference, such as positioning systems. The index output is usually labelled Z. The optical type is used when higher speeds are encountered or a higher degree of precision is required. 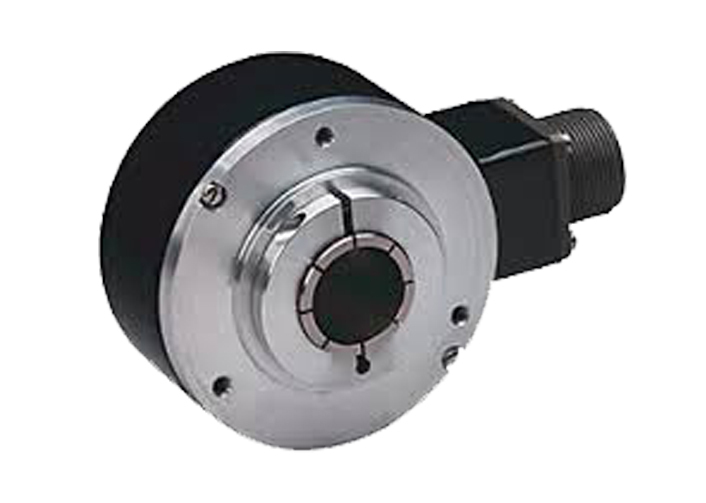 Incremental encoders are used to track motion and can be used to determine position and velocity. This can be either linear or rotary motion. Because the direction can be determined, very accurate measurements can be made.